The average price of single family homes rose 2.9 percent to $291,340 while the median price increased 3.8 percent to $229,900. Supply remains constrained: Months of inventory began the year at a 3.3-months supply, grew to a 4.3-months supply just before Harvey and it ended 2017 at a 3.2-months supply. Pending sales in the last month of 2017 provide a clear view of the momentum in the local real estate market going into 2018. Residential real estate transactions typically have about a 30-day lifecycle which means that the majority of the closings for January are initiated in December. Pending sales in December 2017 were up 24% year over year. As a result, the Houston real estate market is projected to post strong numbers in January. As we look to forecast the performance of the real estate market in the coming year, there are a few additional factors to consider in addition to momentum. Supply remains constrained at 3.2 months of inventory. At the same time, the leading sectors of the local economy stand to gain from looser regulations and corporate tax cuts which is likely to lead to increased employment and inward migration. For instance, the energy industry will benefit from oil prices that are expected to hover around $60-70/barrel through 2018. This will boost demand as more people look for housing. On the other hand, home builders will look to fill the supply gap as they reinvest the tax savings to develop more properties. 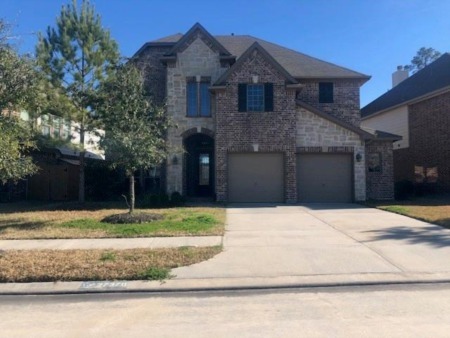 The Houston real estate market has taken a breather the last few years as it absorbs the effects of a struggling energy sector. In the year 2018, all indicators point to increasing prices as supply remains limited and demand increases. Furthermore, I’m no fortune teller but if I had to make a prediction I would say that Houston home prices will rise at a faster pace in 2018 than in the past couple of years.